David joined the staff as Executive Director in July of 2017. 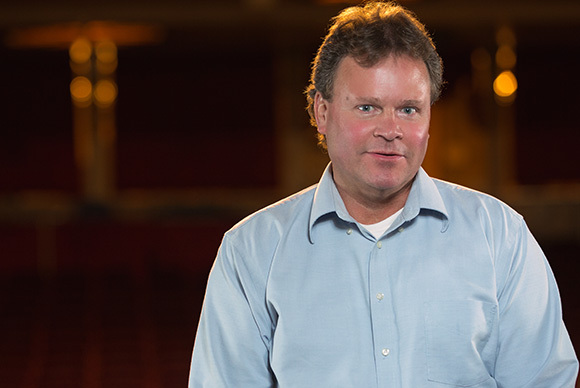 With over 30 years of management experience in the entertainment industry, he has found a home at the Riviera where he shares his enthusiasm for promoting a diverse lineup of concerts and events. David graduated from the University at Buffalo with a Bachelor’s Degree in Communication. Laura has been with the theatre for almost 4 years now. She began as a part-time box office employee while she completed her BA in Psychology. She quickly fell in love with the building and the business and, what was intended to only be a part-time job through college, became much more than that. She is proud to be a part of an organization such as this and appreciates the opportunity to learn new skills along the way. 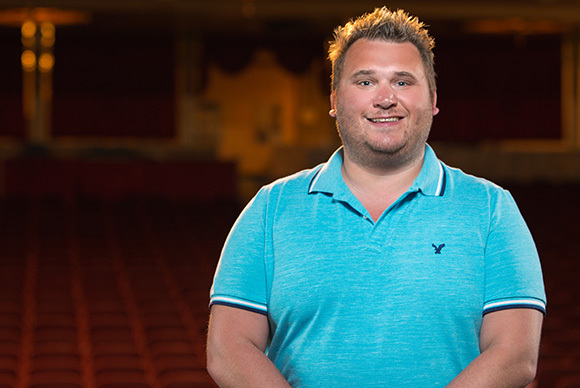 Christopher joined the theatre staff in 2013. He has always had a love for the arts and music. Originally a theatre major, he transitioned into accounting after a few years. Here at the Riviera, Christopher gets to meld his passion with his work. As the Controller, he now manages all of the fiscal aspects of the theatre, as well as human resources. Every now and then, after hours, you may find him center stage looking into the audience and reliving his dreams. Chuck is a retired touring Front of House Audio Engineer and Tour Manager. 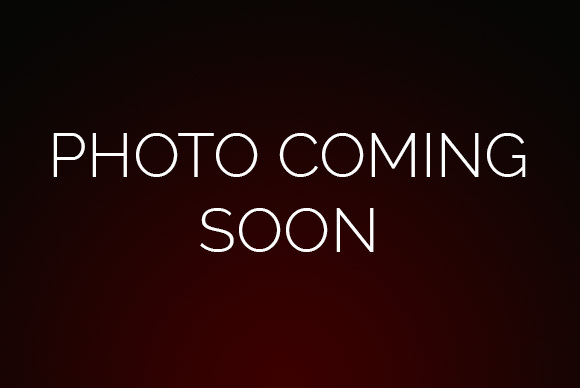 A 35 year veteran of the entertainment and corporate production industry, his clients have included Presidents, Royalty, and some of the biggest names in entertainment. He brings a perspective that helps us prepare for even the most demanding of Artists. Derek has been with the Riviera for almost a decade. 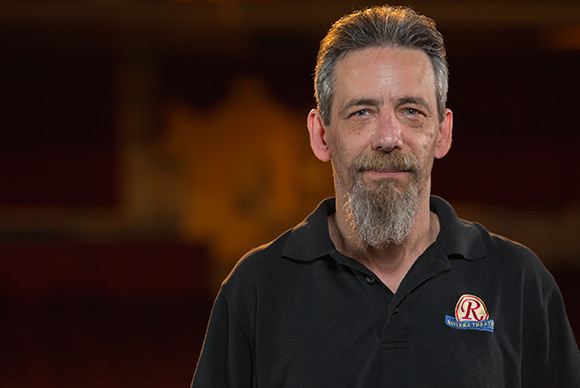 He is responsible for almost everything you may see at the Riv, be it the posters, the marquee, or the website – as well as the lighting for shows. 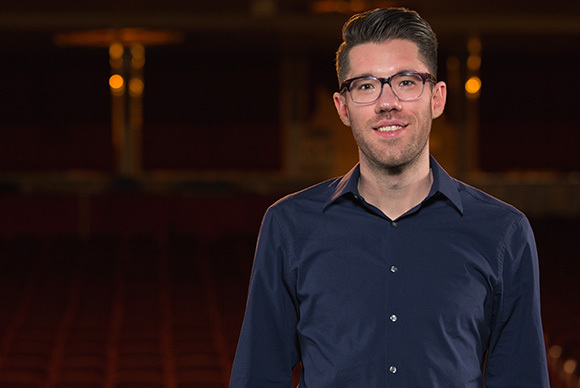 He holds a BFA in Lighting Design from SUNY Purchase, and has worked on several productions in a multitude of different settings – from ABC Studios to Niagara Falls. He is proud to bring his knowledge and experience to the Riv’s diverse entertainment environment. Joanna is a graduate of The University of West Florida holding a BFA in Musical Theatre. 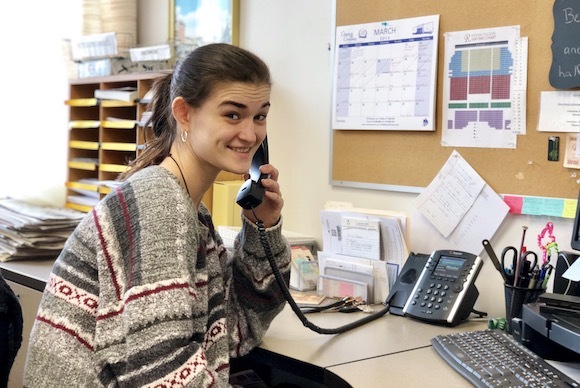 She discovered her affinity for management while working as the Customer Service Specialist at Luna Stage Company in West Orange, New Jersey for the last year. In her downtime, she enjoys composing, arranging, and songwriting. 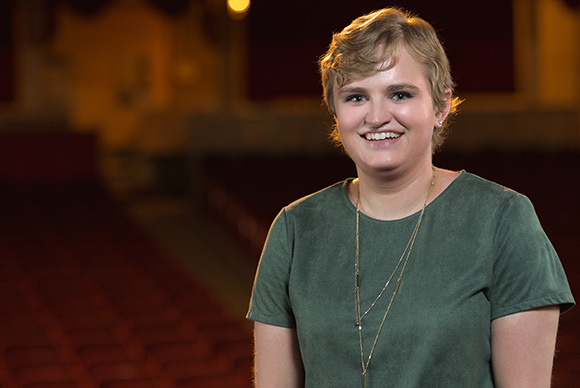 Joanna is ecstatic to be a part of the Riviera family and hopes to continue enriching lives through the collaborative and magical art that is live theatre. Staff portraits courtesy of Big Beat Creative Studios.